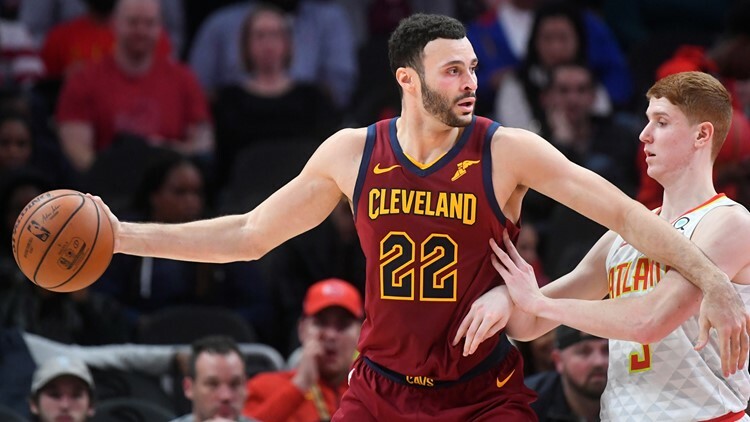 CLEVELAND — Former Cleveland Cavaliers star forward Larry Nance loved that his son, Larry Jr., was traded from the Los Angeles Lakers to Cleveland in February of 2018, but there was a question as to what number the younger player would wear. With Larry Sr.’s number being retired, which when a jersey gets retired to the rafters of Quicken Loans Arena, the NBA does not let it come down to give to a current player, but that was not the case this time around, as Larry Jr. got to wear the No. 22, something for which his father is appreciative. “One of my favorite legendary moments is my son being here,” Nance Sr. said in a video posted to the Cavaliers’ Twitter page. “We got the call, he said he got traded to Cleveland, and the first thing I wanted to do was get off the phone and see if I can give him No. 22. Nance Jr. first donned the No. 22 during a 110-94 loss to the San Antonio Spurs at The Q last February, nearly 24 years after his father last played for the franchise. During his first game with the No. 22 on his jersey, Nance scored four points, corralled four rebounds, two each on the offensive and defensive sides of the floor, handed out four assists and stole two passes over 15 minutes of action. In 81 regular-season games since joining the Cavaliers, Nance Jr. has averaged 9.0 points, 7.6 rebounds, 2.4 assists, 1.3 steals and 0.7 blocks while playing 24.5 minutes per night. Nance has shot 53.0 percent from the field since being acquired by the Cavaliers last season. Cleveland Cavaliers forward Larry Nance Jr. (22) posts up Atlanta Hawks guard Kevin Huerter during a game at Philips Arena in Atlanta on Saturday, December 29, 2018. The Cavaliers are recognizing that historical moment of father and son wearing the same jersey number with the second of their two Nance family bobbleheads, which will be given out to fans who attend tonight’s game at Quicken Loans Arena against the Los Angeles Clippers. Last month, the Cavaliers had a Larry Nance Jr. bobblehead night, and the base looked like a piece of a puzzle. Reason being that tonight, when the Larry Nance Sr. bobblehead is given out, fans will be able to connect the father-and-son statues, symbolically uniting the tandem in recognition of the special moment in family and team history. “You couldn’t imagine thinking anything like that,” Nance Sr. said of Larry Jr. wearing his number with the Cavaliers. “Just the opportunity to play in the NBA is good enough, so if I thought anything, it’d be like, ‘Man, could my son be good enough to play in the NBA?’ Never did I think he would be here.